Looking for a sustainable leg up on the competition? Then your answer is people. Leading an excellent organization is a lifelong mission setting up arenas in which the people on whom you depend for success can do the best work of their lives. In turn, excellent people must keep themselves in condition to exploit every opportunity they get to do great work, work that matters to them, that makes a difference to people’s lives, and that creates unbeatable value for their customers. Managing the context in which people work is mission critical for those who want to achieve and sustain excellence in their business, department, or work team. For individuals, the challenge is to develop and sustain the characteristics necessary for you to be worth your wages. In an increasingly competitive world, these are lifelong endeavors. Tom Peters Company is a source of practical help, information, and encouragement to people who are committed to their own excellence journey. Find out more. 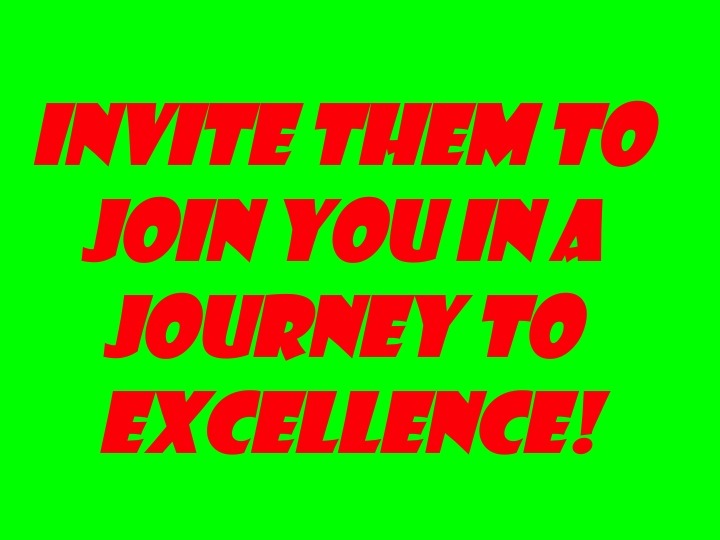 Are you and your people on a journey to excellence together? Get started.